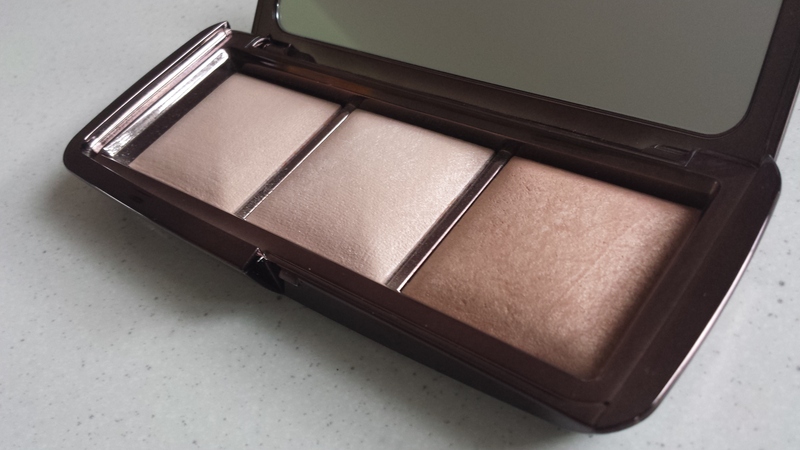 Hourglass Ambient Lighting Palette – A Ray of Light! From left to right: Dim Light, Incandescent Light and Radiant Light. This is a beautiful mix of Hourglass’s Ambient lighting powders and can be used as a highlight, setting powder and maybe even a slight blush/contour, depending on your skin tone. I use Radiant Light (far right) all over my face with a light touch as a setting powder after foundation and concealer, as it sets my makeup nicely and adds a nice glow (but not shimmery or greasy looking). I thought I wouldn’t be able to use Dim Light or Incandescent Light at all because of my golden skin tone, but they work really nicely as highlighters and, with a light touch, under eye setting powders. 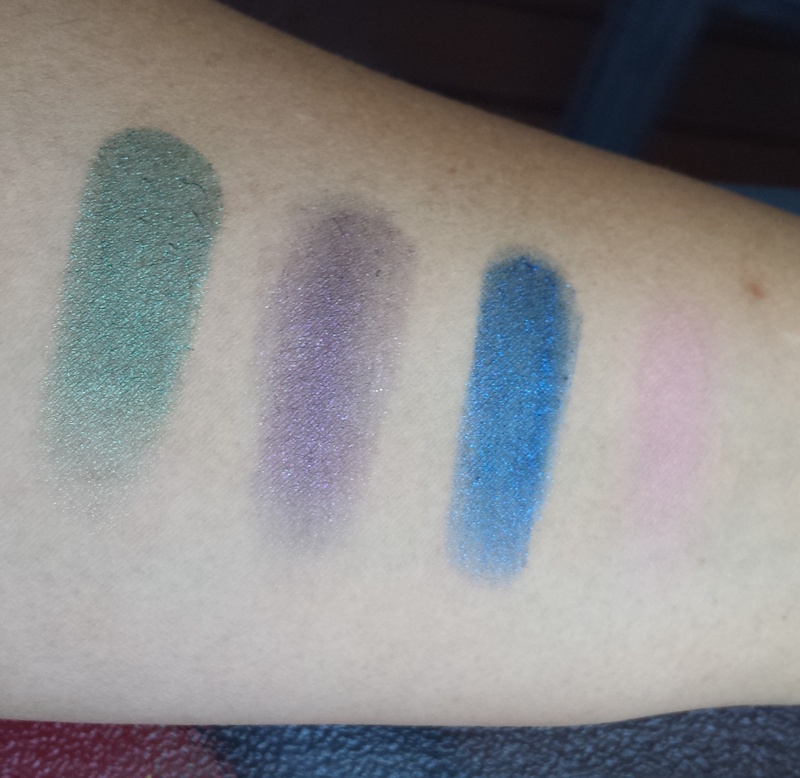 If you’ve ever wanted to try these powders, this palette is a perfect selection and is worth the bucks! 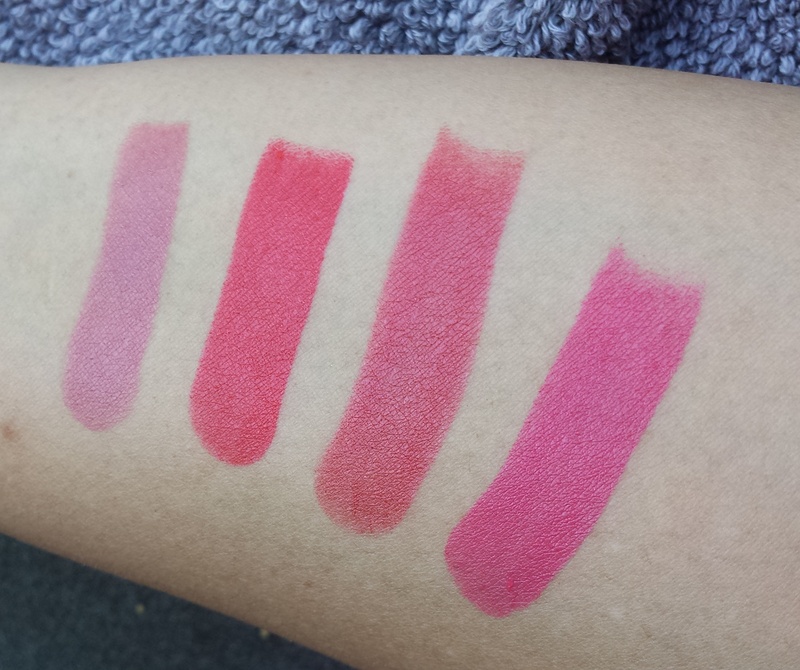 If you can only find them individually, choose which shade will suit your purposes (highlight? setting powder? overall glow?) and go for it, these are amazing! Yesterday, I picked through Target’s clearance section and it had a nice few gems littered throughout it. Target Australia sometimes has good makeup items on sale, but the incidence of that is few and far between (compared to American Target anyway). No matter, I still found a few items that I will enjoy trying. I have already popped open the Colorsenstational lipgloss and I’m surprised this doesn’t get more love online. It has a nice smooth texture and applies cleanly without feeling sticky at all. They didn’t have any variety of colours in the clearance section, only Coral, which is ultra orange BUT, is fairly sheer, so you can use it as a top coat for other colours. 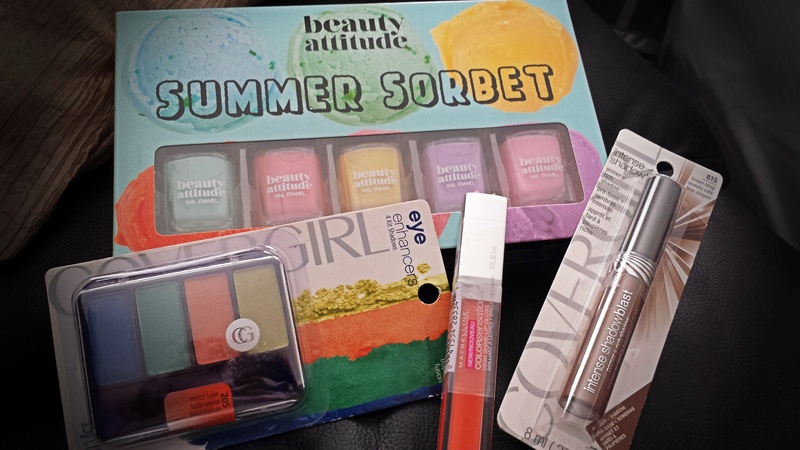 Beauty Attitude Summer Sorbet 5 Piece Nail Polish Pack, Covergirl Eye Enhancers in Tropical Fusion, Maybelline Colorsensational High Shine Lip Gloss in Coral and Covergirl Intense Shadowblast primer + rich shadow in brown bling.